Kahassai fled the Ethiopian Red Terror that killed his father and hundreds of thousands of others, trekking through a snake-infested jungle while hyenas followed him at night to find safety. Georgette crossed the Congo while the Hutus and Tutsis struggled for control as millions of defenseless people were murdered and displaced. Asmi and Leela were children in Bhutan when soldiers burned their villages and drove out the Nepalese-speaking Hindus. Roy narrowly escaped Afghanistan after the Americans began bombing Kabul to drive our the Taliban. Mahn made it out of Vietnam only after his 22nd attempt. Mohammed survived daily beatings when imprisoned in Syria, though many of his fellow prisoners died. What do these people have in common beyond tales of horror and hardship that caused them to flee their countries, leaving their homes, families, and previous lives behind? They all found a new place to live in Denver, Colorado, in the middle the country. But would they be welcome? Would they find a new home, a new beginning, in the "Queen City of the Plains", the golden door to their future? Or would they forever be the homeless, the tempest-tost? 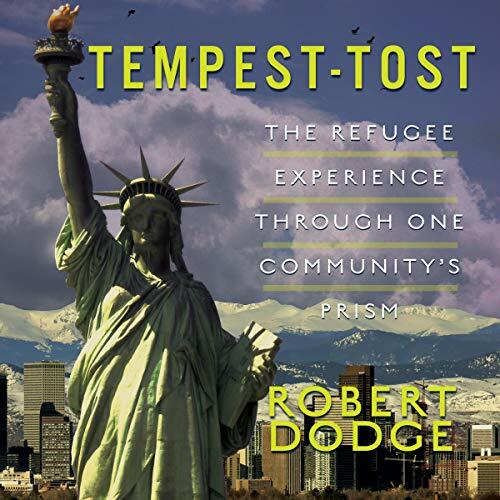 In Tempest-Tost, author Robert Dodge attempts to answer that question by describing the circumstances that caused these Denver refugees to flee their homes and their experiences after they arrived in the Denver. This is the refugee story behind the headlines and political posturing. This is what coming to America has meant to refugees in America, as represented by various refugees communities that over the years have come to think of Denver, Colorado, as home.